We accept all major debit and credit cards from customers in every country. To pay via credit card is the most convenient payment method and credit card companies typically provide some purchase protection. Now you could pay via Visa, Master Card, American Express, Discover, JCB, Diners Club, China UnionPay. 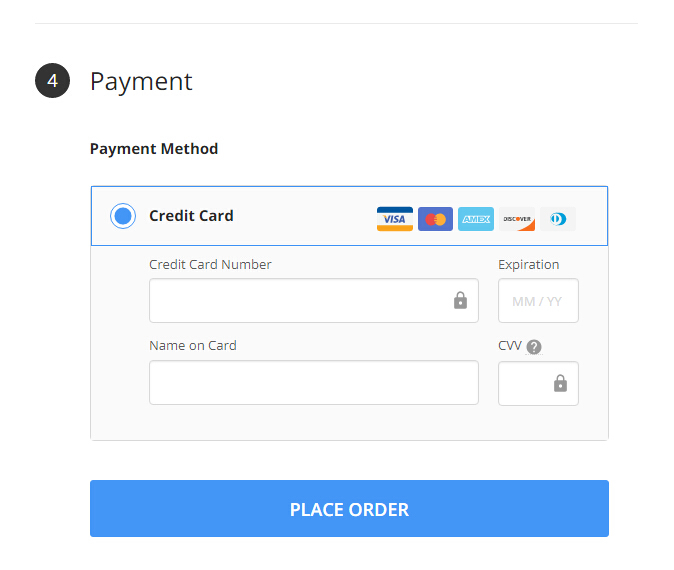 Step 1 : Place an order and choose Credit Card as your payment method. Step 2 : Choose the type of your card. Step 3 : Fill in your card number, expiration date and security code. Step 4 : Click "Continue" and waiting for verification.